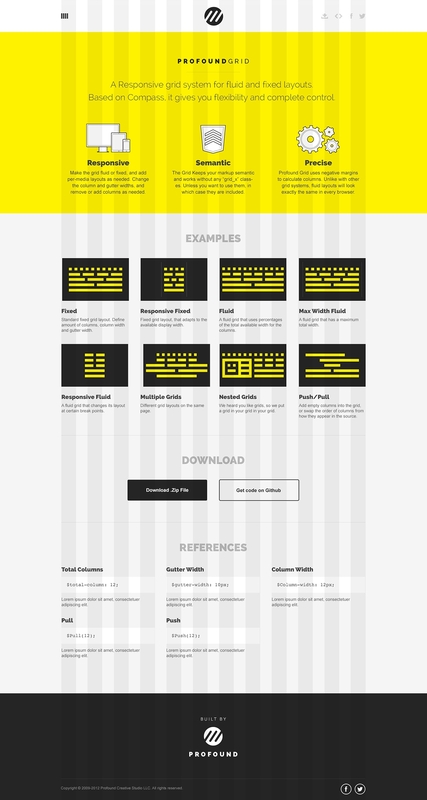 WE NEEDED A BETTER RESPONSIVE GRID SYSTEM, SO WE MADE ONE. Providing a user experience that is consistent, regardless of which device is being used, is a simple necessity for websites in our modern, digital world. Page layouts should adapt to the viewing environment by using responsive, proportion-based grids, flexible images and CSS3 media queries. 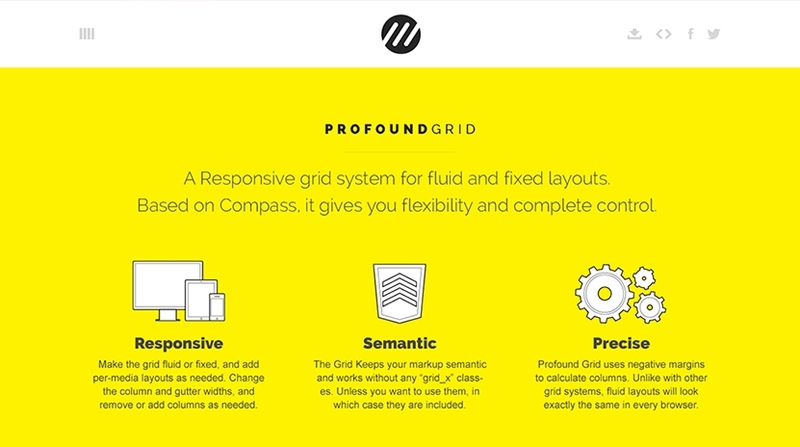 There are many responsive grid systems out there, but we couldn't find one that fit our needs. Most of the grid systems currently being used require the website's design to follow certain restrictions (i.e. a predetermined amount of columns), clutter the site's DOM (i.e. use of "col_x" classes) or look different in different browsers (i.e. browsers rounding percentages differently). Because none of the existing solutions fit our needs, we built our own. 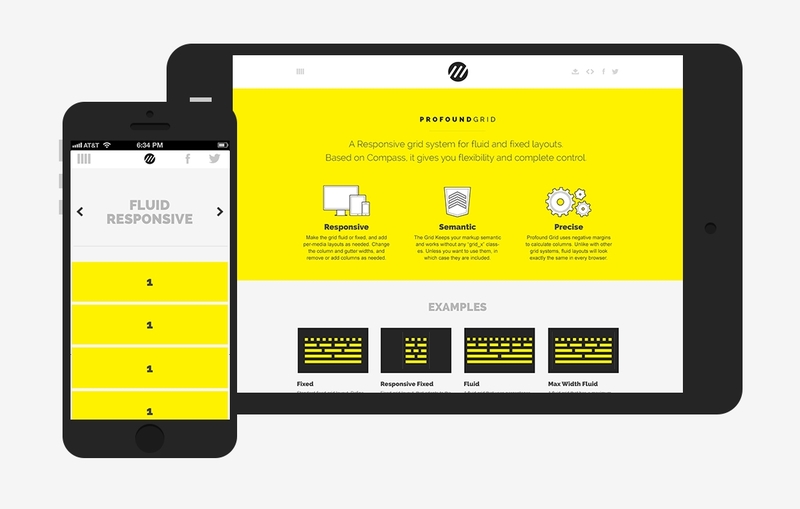 ProfoundGrid allows both fluid and fixed layouts. Through the ability to change the column and gutter widths and the ability to remove or add columns any responsive layout can be supported. 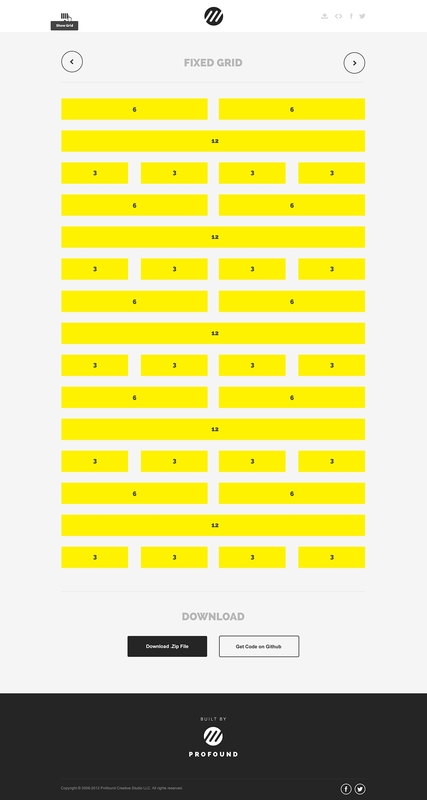 The grid also keeps the website's markup semantic. It makes the code more readable and maintaining the website easier. Negative margins are used to calculate columns. Unlike with other grid systems, this means that fluid layouts will look exactly the same in every browser. Since its inception in January 2013, profoundgrid.com has received over 500,000 visitors. © 2016 Profound Inc. All rights reserved.